THIS POST CONTAINS HANDY HACKING INFO - SCROLL DOWN! PLEASE EITHER POST YOUR COMPATIBILITY LIST HERE OR PM ME! I WILL ADD IT TO THE GROWING LIST! * Starwing - This game has serious graphic issues. See this post for more info. * Super Game Boy - It took a lot of tries to get this to work. The upper connector might be going bad though. * terranigma - does not work. this upset me. if my understanding is correct, this game has the strongest form of lock out available. however, it does work when using the pro action replay mk 2.t. do you want to be able to play the nes side of the retro duo using nes controllers? see this handy site and thank vomitsaw! basically, it's just as simple as swapping around two wires! use this "diagram" with the above site if you do not understand. lovablechevy wrote: oh, and for those wondering, this capacitor connected to the power switch IS important. that is what was not allowing super mario rpg to work. i was nearly at my whits end trying to figure out why it wasn't working. on a whim, i decided to hook that little thing back up that i had heard from many wasn't important. and BOOM! game booted instantly. so, contrary to popular belief, it is a very important thing to have! You can now put a switch of your choice between your power supply and the power input of the board. Life of Brian wrote: I have some more information about the Retro Duo. Naturally, I have pictures. 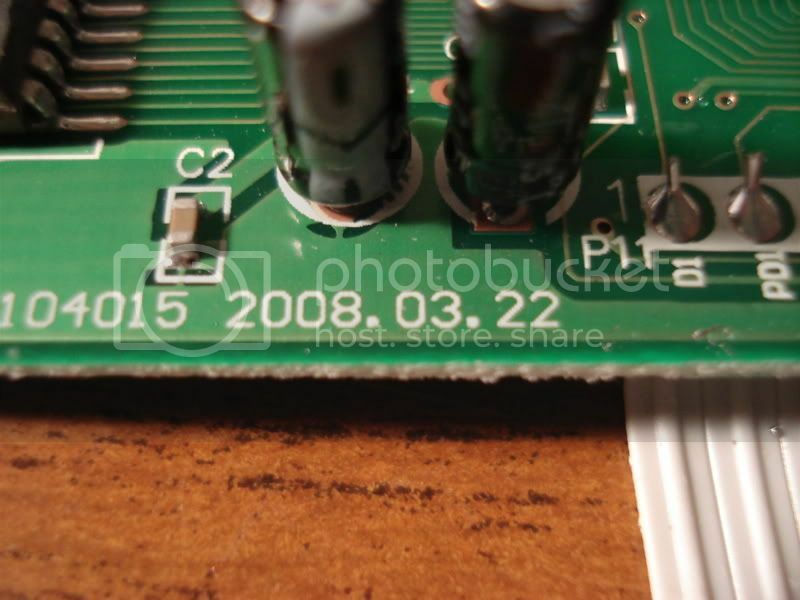 And here's the date on the old board with the mislabeled section and unused pins. 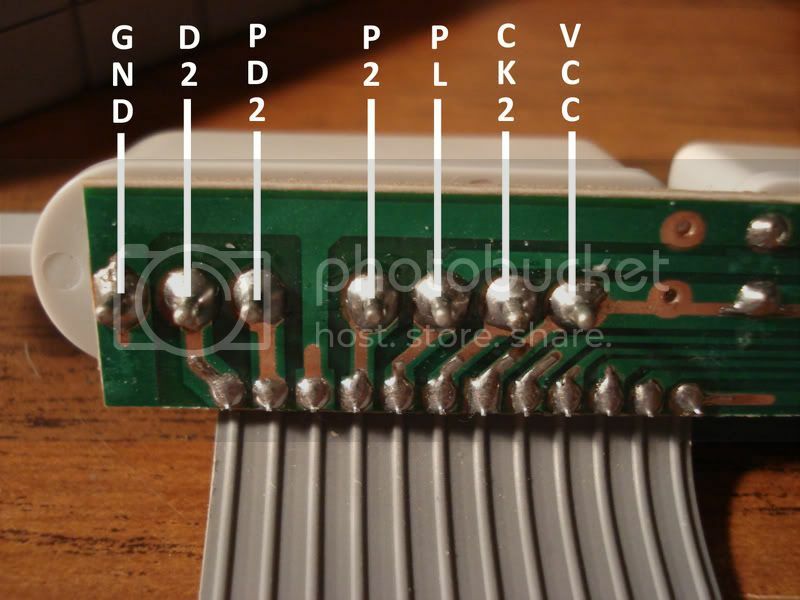 Trstn18 wrote: The pinout is as follows: with the controller ports facing towards you and the cartridge connector facing up, in the back left hand corner of the SNES board there are seven connections. 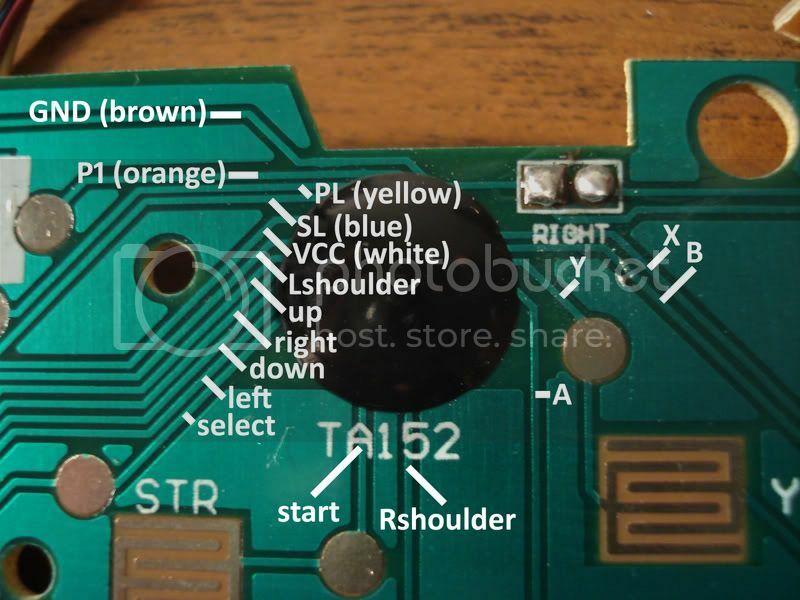 I payed no attention to the 10 connections on the top right side of the board as that has to do with the NES pins, and I removed that permanently, but my friend has confirmed that is labeled correctly. For the Front 12 Pinouts I can only give you the color coded controller matchup, but as you only connect controllers to this port that should be just fine. The wire colors in the Retro Duo controller are yellow, red, blue, white, and brown. gamemasterful wrote: Everyone seems to have problems with the sound of the NES side of the Retroduo. I think I found a fix for this. 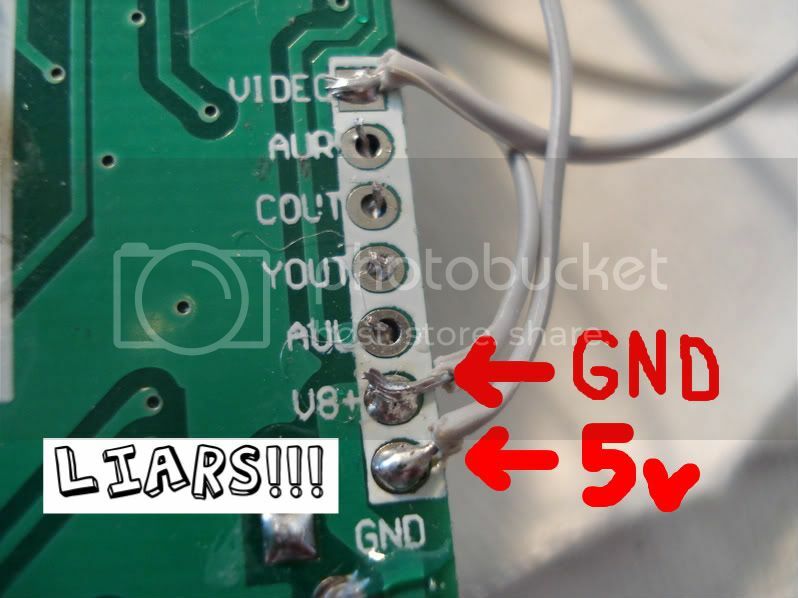 Also I found another hack to add a 50/60 Hz switch to the SNES side, and 5 replies down, a commentor suggests how to fix the video of the SNES side. Not sure if these have been discovered before but I'd thought I'd share. 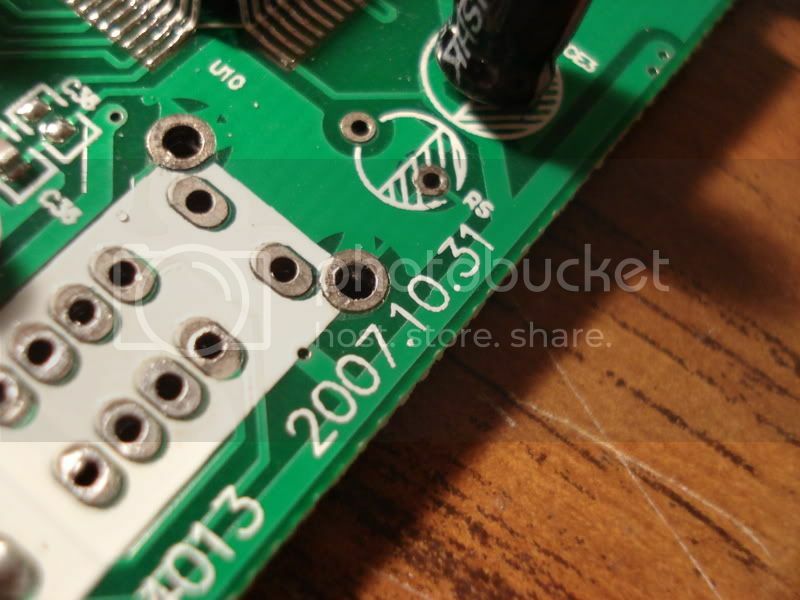 Ace_1 wrote: There's actually more to the sound fix than just that capacitor. 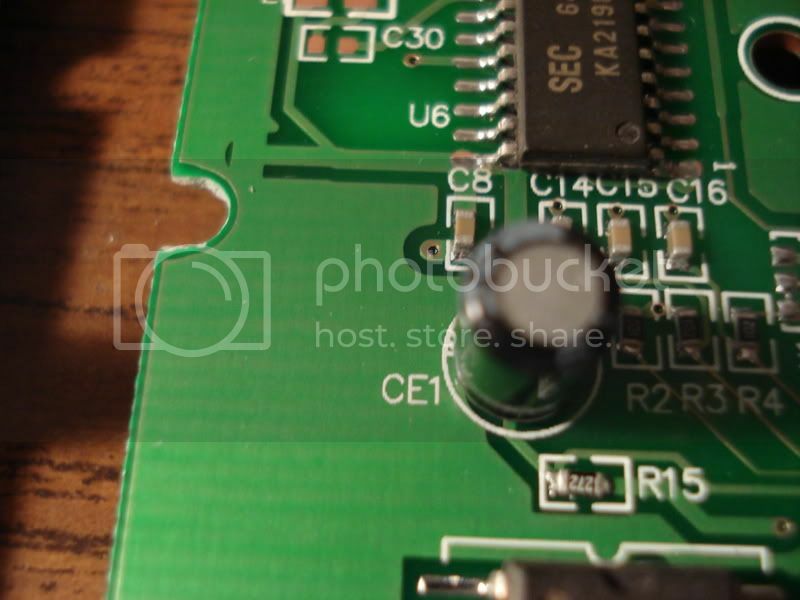 I found out, while looking at my FC Twin's NES sound circuit, that there's not only a capacitor missing on the RetroDuo's NES sound circuit, but there's also a RESISTOR missing from the circuit, and if it's not present, the sound will be okay, but very rough. 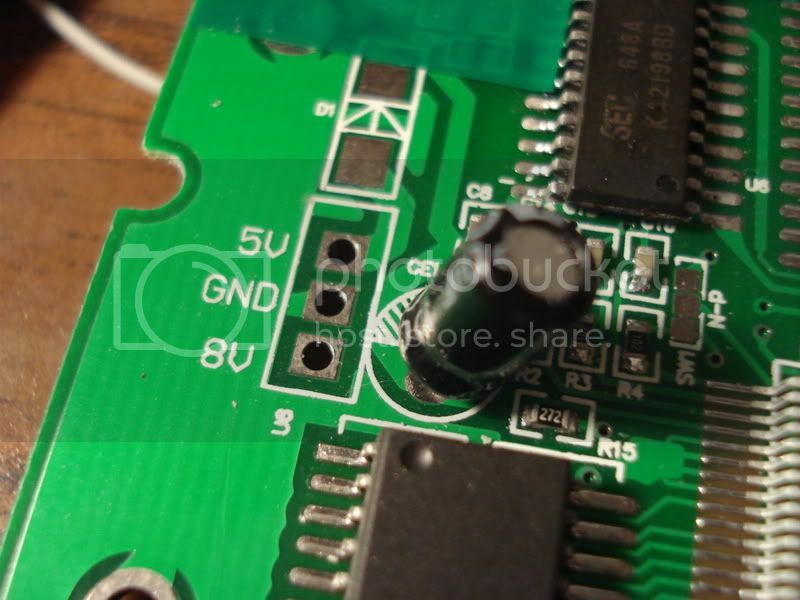 EDIT: The 2.2Kohm resistor goes between the top pin and the bottom-left pin of transistor Q8 on the NES board. 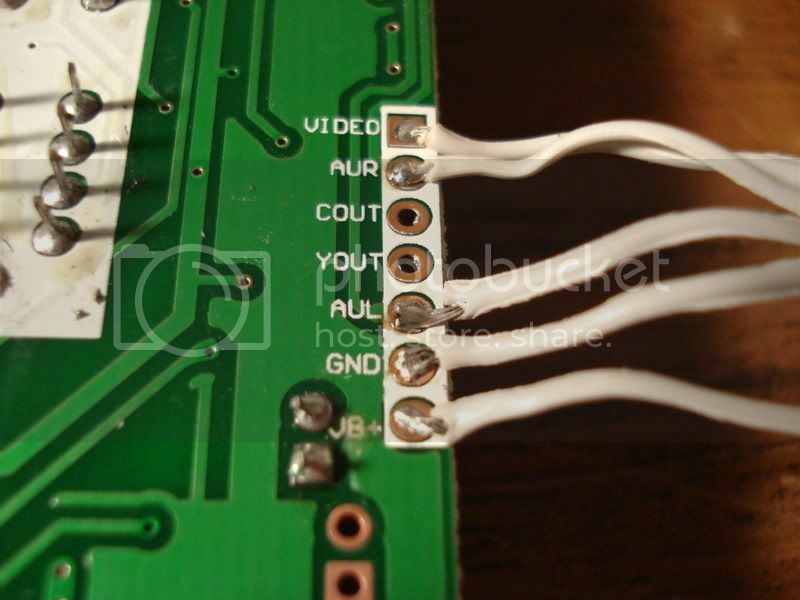 Apply that resistor and the 0.1uF capacitor(electrolytic or ceramic, it doesn't matter), and you will get the best NES audio possible out of the RetroDuo. scroll down to see pictures and read a review. hey guys! i haven't noticed this system mentioned anywhere here. it looks to be much better than the fc twin. it can play super mario rpg and games with the fx chip perfectly. it also claims to play castlevania iii perfectly. anyway, here are some links! Last edited by lovablechevy on Thu Oct 20, 2011 1:32 pm, edited 40 times in total. I haven't seen that before - thanks for the heads up! I always like having options I wonder if it has basically the same internals as the FC Twin? probably one in the same as the play n trade model. Kinda makes me mad they come out with Castlevania III compatible systems the second I buy an FC Twin. Oh well, I'm not a huge Castlevania III fan anyway. Oh, and S-Video is useless for Super Nintendo. i ordered one before i even posted the links about it. as soon as i get it, i'll take pics of all of it, including the guts and post them. "Unlike the FC Twin, the Retro Duo uses actual NES/SNES hardware" and that it is a "fully licensed design." guess we'll see as soon as i get my hands on it! I can't wait to see! If you're up to it, perhaps you could measure it as well so we can compare the dimensions to the FC Twin? Also, if you have a multimeter handy, can I ask you a favor and measure how much current it draws? I can instruct you how to do it if you need me to. It's easy and takes like five seconds to do. i don't have a mulitmeter, but if they aren't too much, i can get one. i'll be happy to do whatever to get anyone the info they need! lovablechevy wrote: sure i'll measure it! 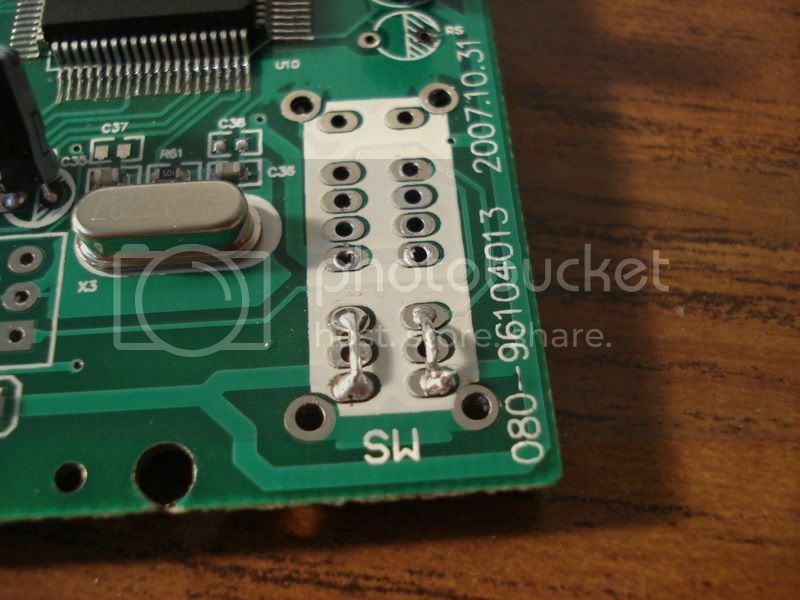 You can find cheap ones for as little as a few dollars, but it would probably be in your best interest (if you plan on continuing with tinkering with electronics) to get a decent one for around $15 - $20. That way you'll be able to double-check your connections (make sure ground isn't touching positive! ), see what voltage your batteries are providing, test resistors for their values, and also see what kind of current your electronics are pulling so you can estimate battery life. It's very handy to have and essential for this kind of stuff. well, if they will ship internationally, you could get one off of eBay because supposedly its compatible with all regions. 1) Nintendo would have to be stupid to support real NES/SNES hardware when the Virtual Console is a huge selling point for the Wii as well as the only way to make money off of these old games besides compilation discs. Nintendo makes absolutely nothing off of used games. Also, do you see Nintendo logos anywhere? no. The Genesis 3 was licensed hardware made by ?Majesco? and had Sega logos all over it. 2) To make a true, 100% original chipset, it would cost several hundred dollars because it would have to be manufactured the same way the originals were and they can't sell it at a loss the way Nintendo did because they can't make money back on game licensing. 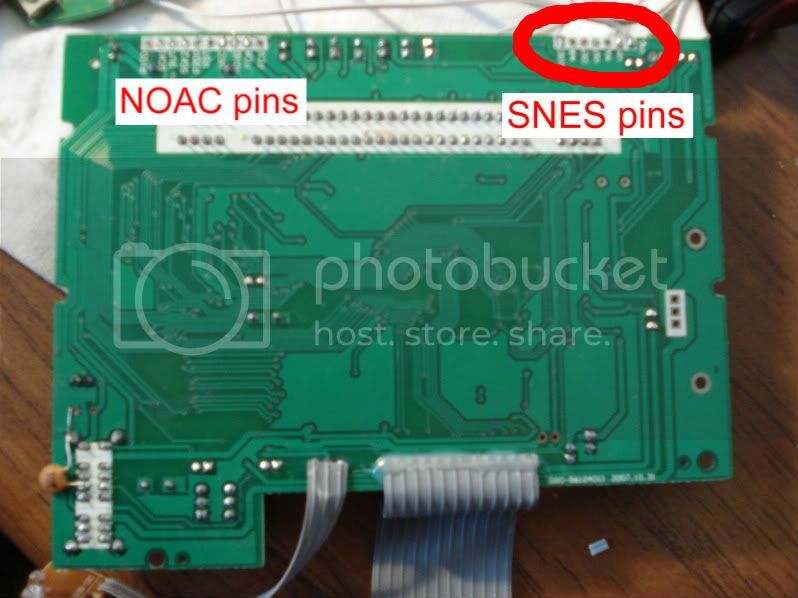 Therefore, I will bet any takers $10 that its an NOAC and a simplified SNES chipset (possibly SNES-OAC, who knows) just wired properly to allow for Castlevania III function (according to Nesdev, the current NOACs don't connect certain pins to the cartridge slot which keeps the MMC5 mapper from working). Many of the "incompatible" titles of the FC Twin have been reported to work, including Batter Up, Mario RPG, and TMNT III (which I have tested personally). Only Paperboy and Castlevania III have been confirmed by me to not work on the FC Twin or regular FC. 3) Come on, its an eBay seller, they don't even know what they're looking at when it comes to electronics (99.99999% of the time). Hell, even videogamecentral.com said the "O" on the O/J switch of the Gen X stood for "Original" when it obviously stood for "Overseas" because its a Japanese MD2FC with American cart slots. But of course, sellers like that prefer to lie and make it sound like they know what they're talking about rather than admitting they only heard about it a week before they started selling it and don't have a clue how any of it works. In spite of all the seller bashing, I hope it turns out to be a good system so I have an alternative if my FC Twin craps out or if I desire another 2 in 1 for some reason. Hopefully they'll tack on a Genesis slot too and make it a complete 3 in 1 with a Genesis 6 button-style controller with additional shoulder buttons for the SNES games. my collection is mostly rpgs since that is my favorite. anyway, i'll post all the info on monday as soon as i can! have a great weekend everyone! SZF2001, you can add s-video to an FC Twin. You just need 2 caps and 2 resistors, and a svideo plug. finally i've gotten my retro duo. so, is this thing as good as it claims to be? let's find out! i immediately looked at the packaging. it's actually nice packaging. a pretty box with a nice see through window. the controllers and console are very firmly in place. this impressed me. it took me a little force and bending of the plastic holder to get them out. the controllers are a little lighter than the original snes controllers. and they feel kind of clicky. the console is of a moderate weight. obviously, it is lighter than the snes. it's quite a bit smaller. i really like the look of it. fyi, i am a girl and i don't have that big of hands. this console is pretty small! i open it up to look at the inside. of course, i don't really know what i'm looking at, but here are the pics. the board, in it's entirety is 5 1/4" w 5" tall on short side and 5 3/4" on longer side. the smaller nes board is 5 1/4" by 1 3/4". the snes part is 3 1/2" (short side), 5 1/4" wide, 4 1/4" (long side), and the bottom is 3 3/4" with a 1/2" going further down to the final 1 1/2". hopefully that makes sense. now, i will admit that i do not know much about electronics or the noac and such. but, i don't see where this is a noac for the nes part. unless it's the very small glop top on the bottom of the nes board. interestingly, this is only two boards as compared to the 3 for the fc twin. so, it is not exactly the same! i have not had time to get a multi-meter. but when i do, i will measure its draw. the ac adapter is only 5v. if that means anything. i haven't gotten my converter yet for famicom games. i love everything about the system except the controllers. they are just too stiff and clicky feeling. but i really wanted the controllers to match the console. luckily, i had two mostly dead snes controllers. so, i just simply swapped the pads. now i have the responsiveness of the original controller. woo hoo! the only comment i have left to make is that to me, the sound for the nes side sounded a little weird. not weird in the sense of how it does through my super 8 (very tinish). it's hard to describe. it was almost as if it was coming through so loud that it was distorted even though i barely had the volume up. *shrugs* overall, i think this is an excellent buy, and would probably make for a great portable. Last edited by lovablechevy on Sun Mar 02, 2008 10:40 pm, edited 6 times in total.